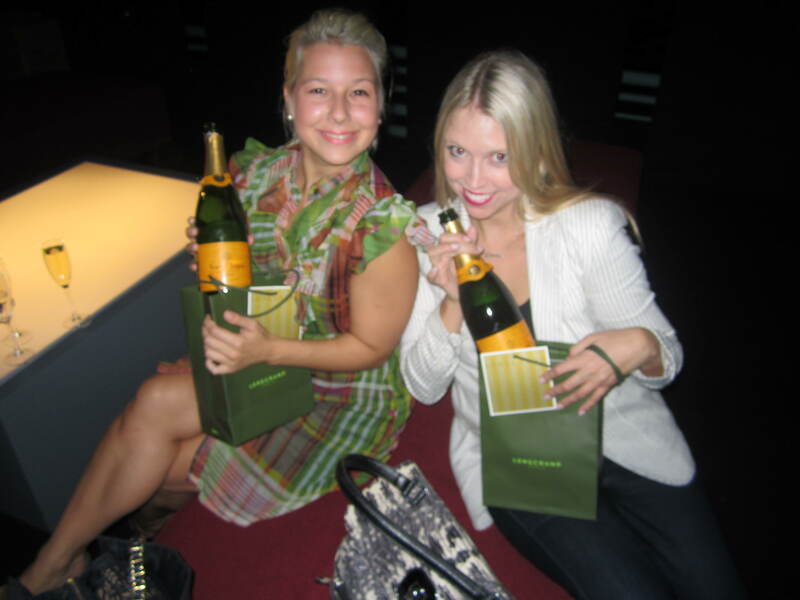 Champagne (Veuve Clicquot), Canapes and Coco..this is my idea of a wonderful Wednesday! 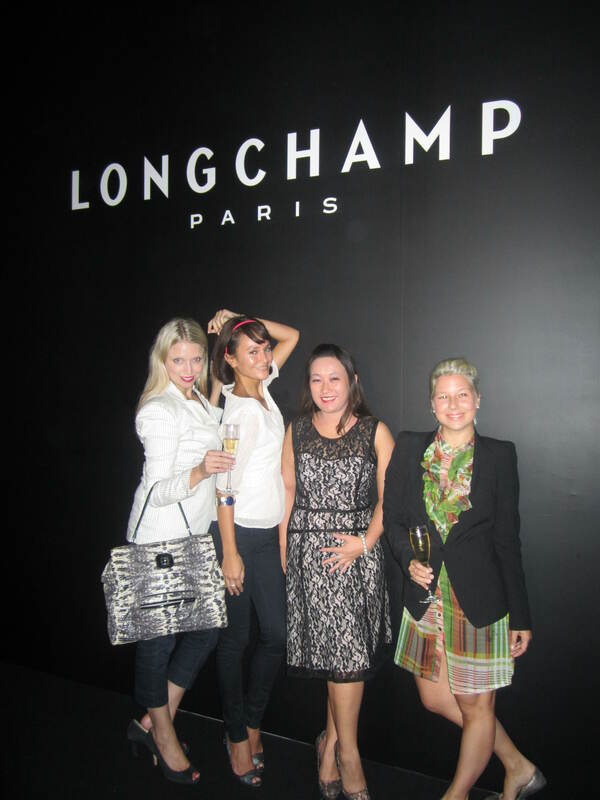 French fashion house Longchamp flew in top model Kate Moss when it opened its store in Central last year. 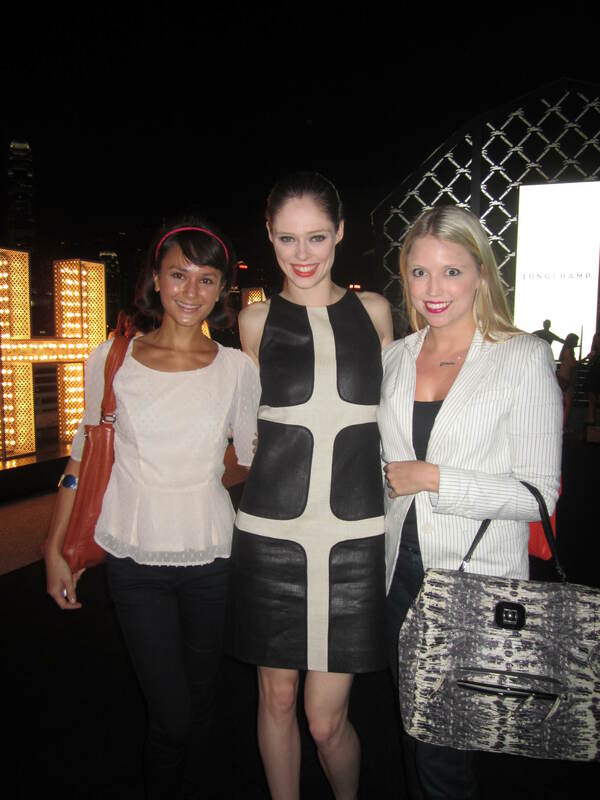 For the grand opening of its flagship store on Canton Road, Tsim Sha Tsui, held on Wednesday 17 October, 2012, super model Coco Rocha was booked. 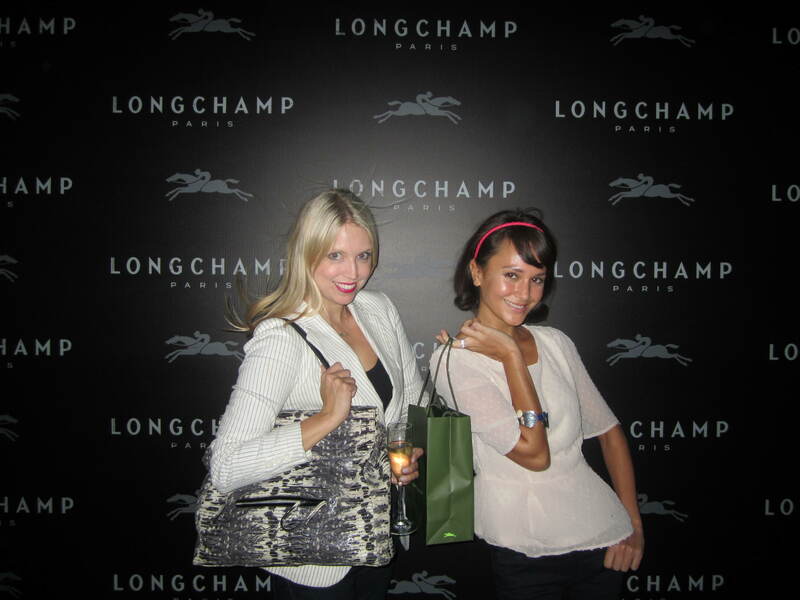 The model, who heavily features in the new Longchamp advertisements, officiated at the store opening in the afternoon and was also at the huge party later in the evening. 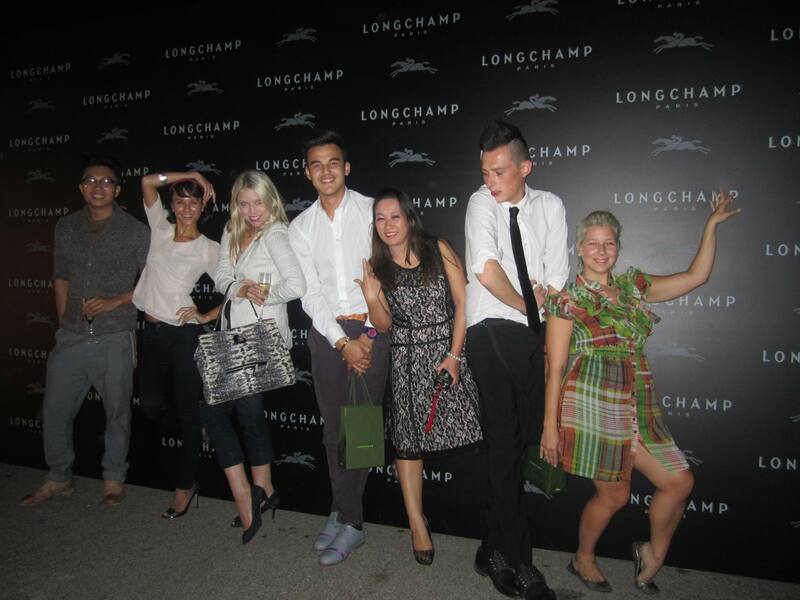 She was joined by actresses Carina Lau Kar-ling from Hong Kong and Gao Yuanyuan from the mainland. 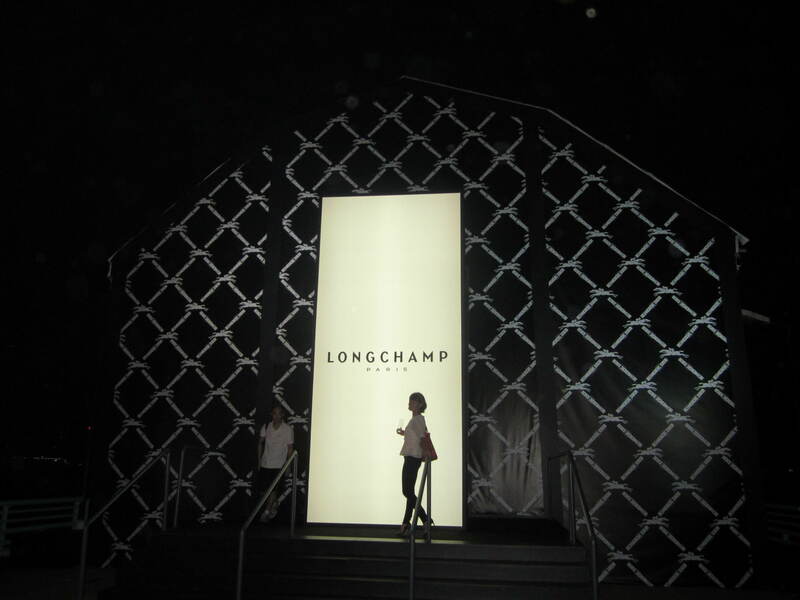 A Longchamp marquee was set up for the party in the car park near Harbour City mall, overlooking Victoria Harbour. 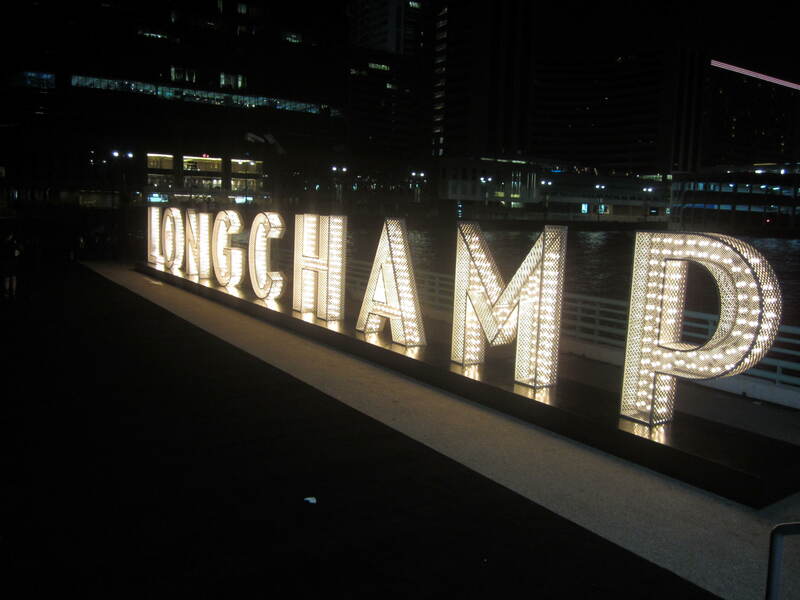 Huge neon lights spelling out “LONGCHAMP” were placed at the entrance along the waterfront, and could be seen from a fair distance on both sides of the road along the harbour. A fantastic prop, they made for great photos. 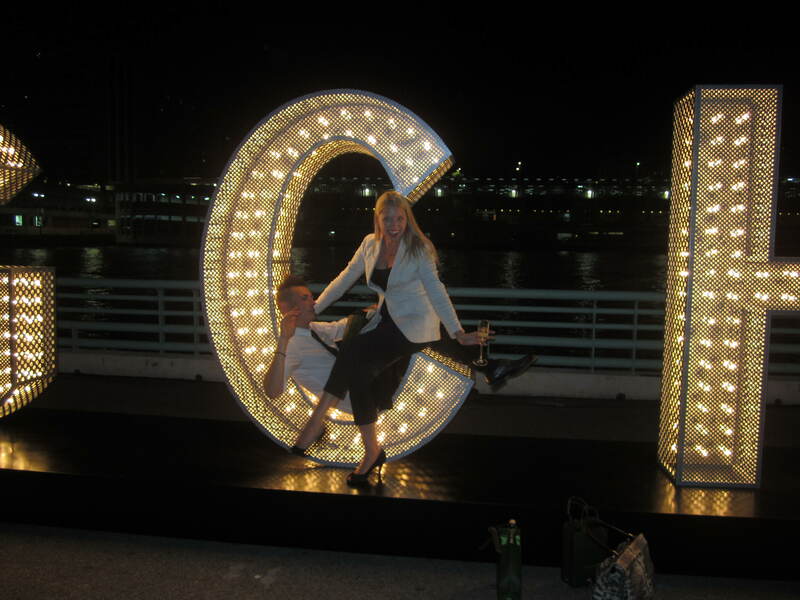 I was only of the lucky one’s whose name had an initial available to pose against. 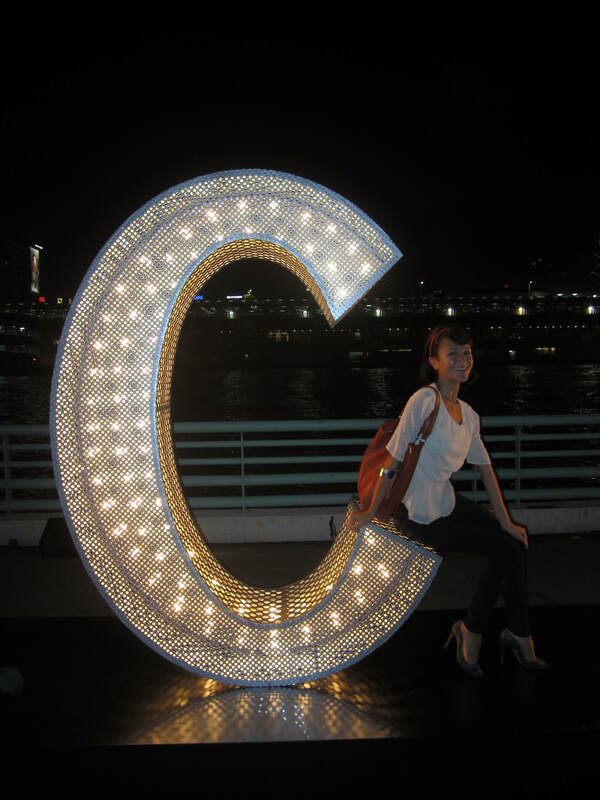 Yay for “N”. 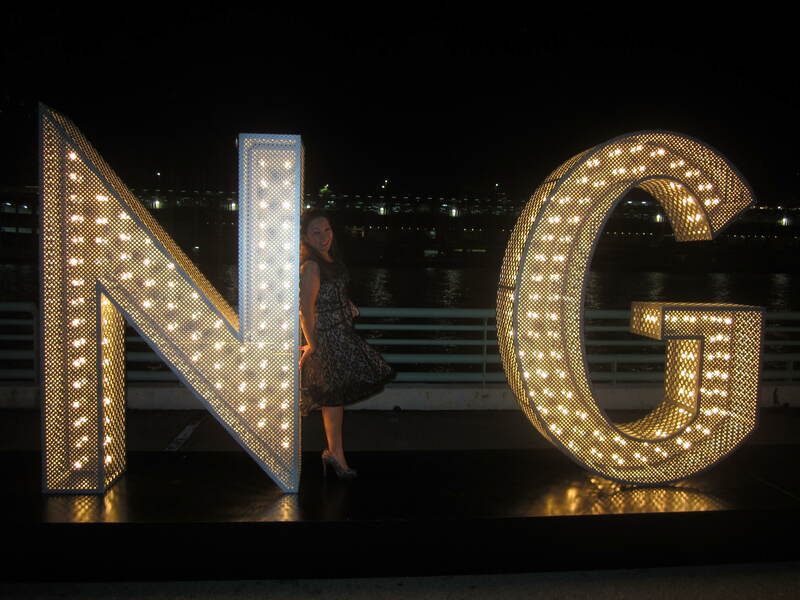 My friend Callie had her “C” and luckiest of all my friend Lucy, whose last name “NG” happened to contained together in the middle of the brand name. 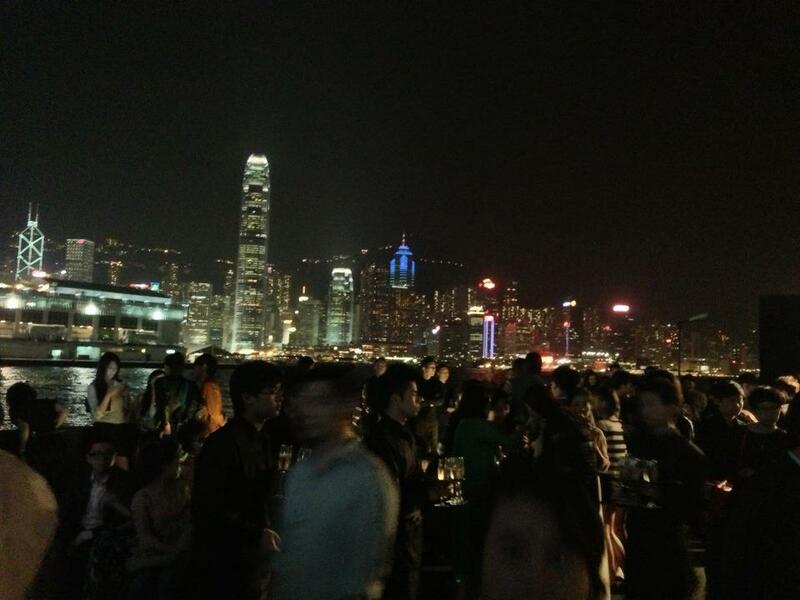 DJ’s spun tunes as the majority of guests mingled outside, thanks to the perfect autumn weather in Hong Kong (still warm, but no longer death-defying humidity). 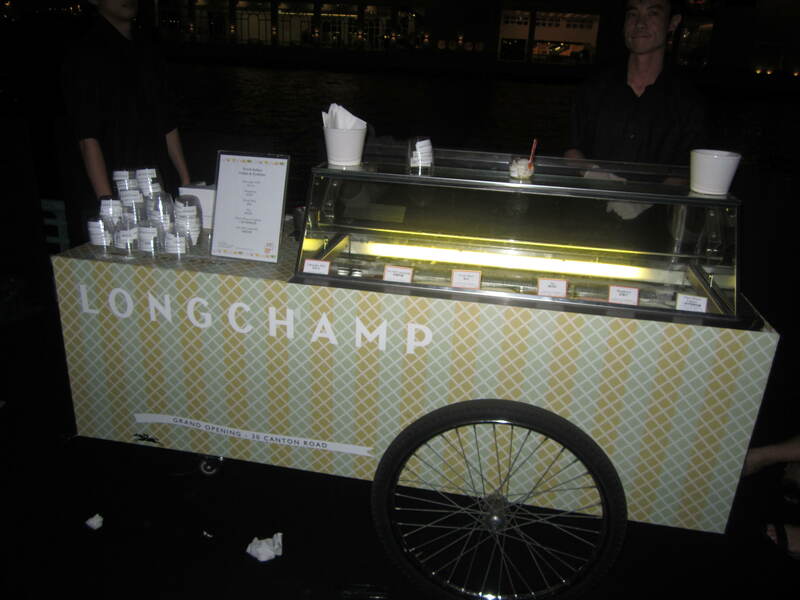 An “I Scream” ice-cream cart dished out fine ice-cream as endless Veuve was poured until well after midnight. 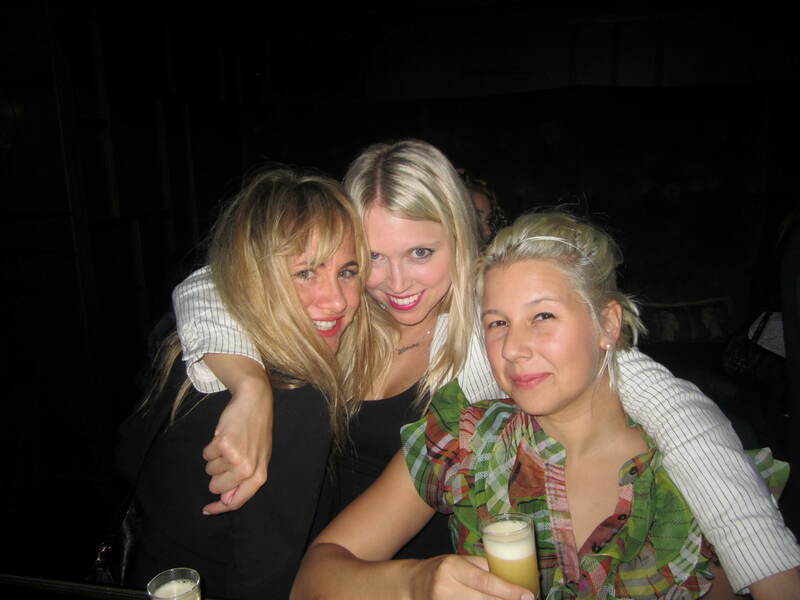 Coca Rocha was highly engaging, chatting with fans and having no problems posing for photos with fans – unlike Moss the year prior who stuck firmly to her VIP booth. 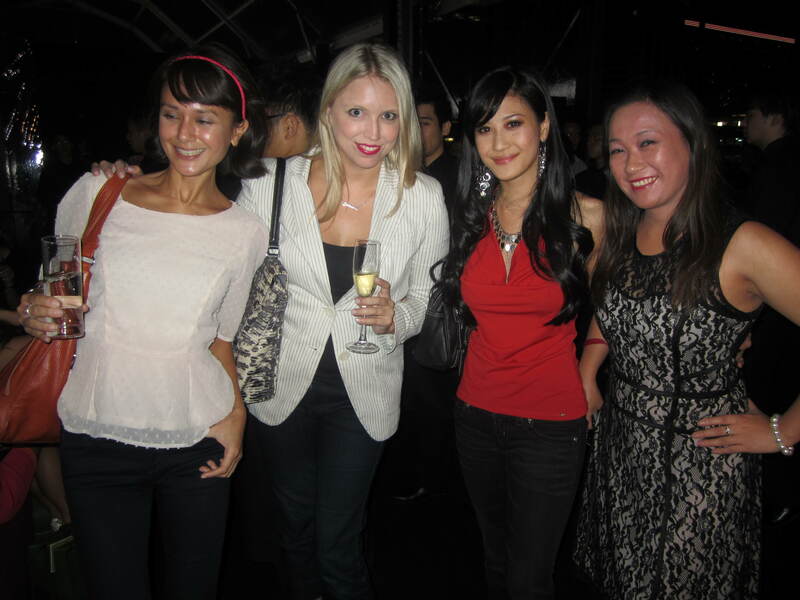 During her whirlwind 48 hours in Hong Kong, she expressed her love for the city on Twitter, Instagram and Weibo. This is one savvy social media model. 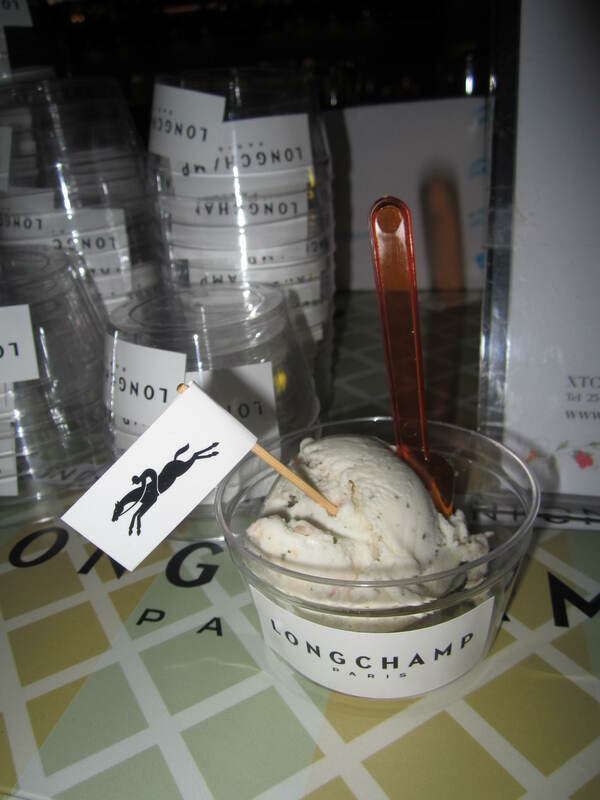 This entry was posted in Fashion, Parties and tagged Carina Lau Kar-ling, Coco Rocha, Gao Yuanyuan, Harbour City, La Maison Canton Road, Longchamp. Bookmark the permalink.